No matter our stage in life we will always engage in some form of Faith Formation. As parents we bring our small children into the atmosphere to be able to know about Christ in ways that speak to their innocent hearts. As life progresses, often life circumstances dictate the path we follow for getting to know Christ. As teens we question how we fit and how our Faith works in light of all we hear in the voice of the world. As we approach college age life choices start to call us in ways we haven’t encountered previously. Along with our freedom to choose, comes personal responsibility and the need for a strong anchor to help guide us. One of the greatest gifts we can be given is the awareness of what each phase in life brings us–challenges, opportunities, and gifts so that we may respond from our Faith foundation. 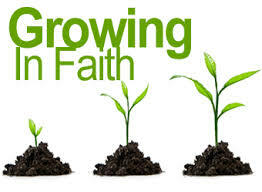 Here at Holy Trinity Catholic Church, we are committed to nurture Faith Formation at every stage in life. For information about participation in our programs or to get answers to specific questions, please contact us. The Elementary RE program coincides with the Holy Trinity Catholic School Religious Program. 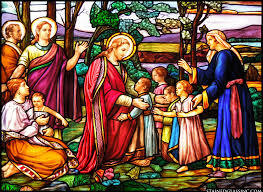 We follow the catechetical program We Believe that focuses on students, catechists, families, and the Church community. The curriculum for the upper middle school is built around Encounter. The program gives the students the answers to their tough questions concerning their bodies, their sexuality, and their future. As we head into high school, we use The Teen Timeline or T3 as it is commonly called. It centers around God’s Word and breaks it open for teens so that it comes alive. The more teens understand the Bible, the more they love God! Our unique focus for Seniors is not to fill teens’ heads with information but to pierce their hearts with transformation. we use the YOU: Life, Love & the Theology of the Body curriculum, which is designed to stir thought, create conversation, dispel myths and inspire young people to a deep and lasting love for the Mass. The purpose of this curriculum is to prepare students both intellectually and spiritually to receive the Sacrament of Confirmation and to become lifelong disciples of Christ. We use the Chosen: Your Journey Toward Confirmation program. It is carefully designed methodology features highly effective and engaging material conveyed through videos, student workbooks, and classroom experience. Ideally young adults come together to continue to share their Faith journey, as they navigate what can be a rapidly changing terrain. Young adults have the choice to join the Oklahoma Young Adults at their pre-planned outings, join young adult groups on their college campuses, or create Faith-sharing groups at Holy Trinity. Faith formation is a life-long experience. It can take the form of Bible study, prayer group participation, programs held at the church and/or individual study.